Looking for Memorial Day Party Ideas? Look no further! 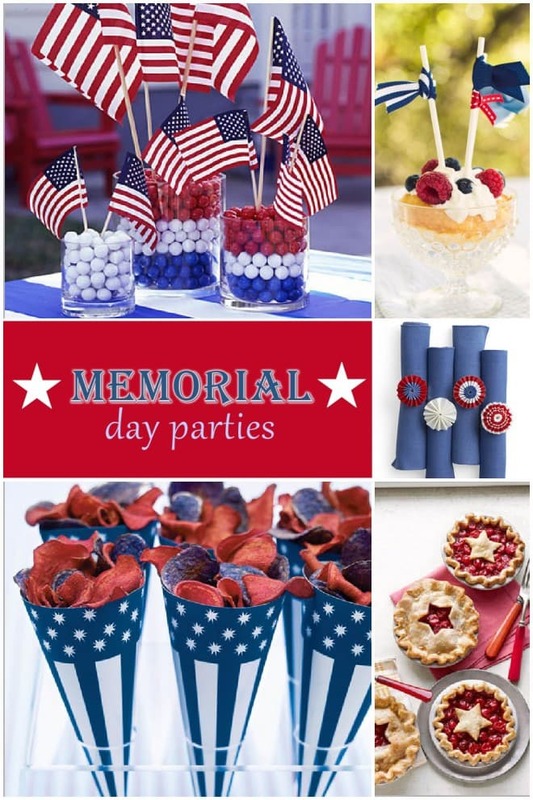 Memorial Day is the perfect chance to get together with friends and family for a patriotic themed party! Decorate with RED + WHITE + BLUE and include some of these festive ideas above! What I love about Memorial Day is the weather – just warm enough without the strong heat of a Southern summer. 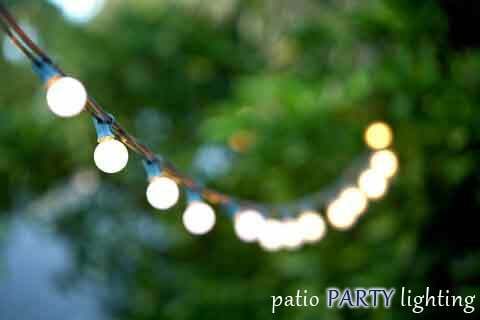 This means PATIO parties so string some mini lights outside for your Memorial Day Party to create a sparkling ambiance! 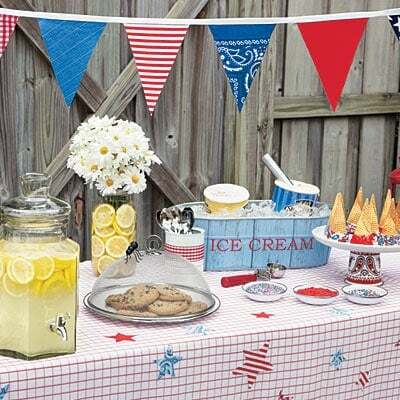 Cover a folding table with a patriotic fabric for an easy table set-up! Adorn with your favorite red, white, and blue eats. Decorate with a fabric garland or bunting like the one below from All You! Make Mini Apple Pies – Head to your freezer aisle and pick up mini frozen pie tarts! Fill with your favorite apple pie recipe for a delicious of individually sized pies! Striped Paper Cones – Use this fun DIY template to create patriotic striped paper cones! Fill with a variety of tasty treats from chips or popcorn to fresh fruit or cookies! Patriotic Cocktail Stirrers: Decorate festive Bacardi Hand Shaken Daiquiris with colorful berry drink stirrers! Simply thread an assortment of blueberries, strawberries, and raspberries on a bamboo skewer and add to your drink! Delicious Daiquiris: This summer, rediscover the daiquiri. Bacardi Hand Shaken Daiquiri is the perfect addition to any summer get-together — fun, delicious, and ready to pour. Bacardi Hand Shaken Daiquiri is made with Bacardi Superior Rum, tangy lime and sugar. It is a perfectly balanced cocktail that is not too sour and not too sweet. Check out this Memorial Day Cookout for more ideas! I just wanted to thank you for benig so conscientious. It was such a delight to find the attached link to Martha Stewarts website. I wanted to make the paper cones , but I am severely craft challenged. I had absolutely no idea where to begin. I can not wait to make them for my family.